Visual factories use a variety of visual representations of different types of information to improve efficiency, safety, and productivity. The concept is often used as part of the lean manufacturing process. Companies moving toward becoming a visual factory often find it is a simple process that yields excellent results. Signs - Pre-printed or custom signs can display specific information to employees who work or pass through the area. Signs can be of almost any size and shape. Generally, one sign is meant to deliver one message. A STOP sign is a good example of this. Posters - Posters are becoming very popular in visual factories. Posters are larger and can contain a significant amount of information. They are often used to convey general instructions for safety, job procedures, or other topic-specific content. Charts - Using charts in a factory can convey data more easily so people can act on it right away. Labels - Labels are often placed directly on machines, containers, and other equipment in the facility. Smaller in nature, they can rely on pictograms and other visual items to quickly convey important information. 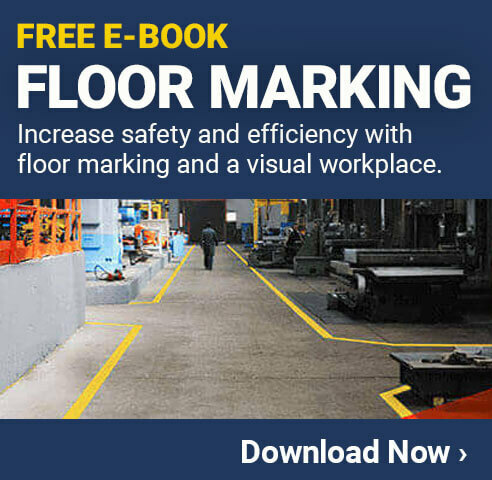 Floor Markings - Using paint or tape to label items on the floor of a factory is an effective way to deliver information to those in the area. Floor markings can typically only be seen well by those in the immediate vicinity, which makes them ideal for delivering very specific information. Factories use visual tools to convey information because they offer many benefits that other forms of communication can't. Taking often complex ideas or data and displaying them in a visual format is far more efficient, especially when those viewing the information don't need to have every detail at once. Having the visual representation of data available makes it possible for employees to benefit from the data far more quickly than would otherwise be possible. This added speed makes it convenient and practical to keep employees informed and aware of potential hazards. Another advantage visual factories have is the repeated delivery of information. 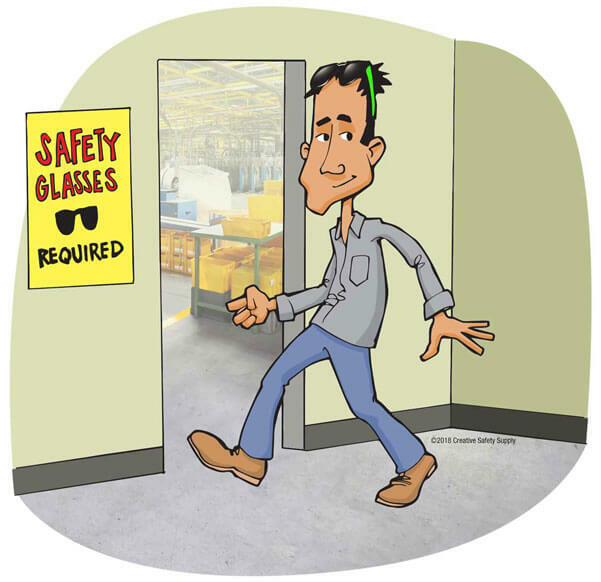 Having a poster up on the wall of a break room that stresses the importance of certain safety practices will ensure employees see it several times per day. This constant exposure to the right safety standards will help ensure they follow the right processes and procedures. Another reason many companies like the idea of a visual factory is that the benefits are great and the cost is very low. Ordering posters, labels, signs, and other items is typically very inexpensive. Some companies invest in an industrial label or sign printer so they can create their own items. While this has a greater up-front cost, the long term savings can be significant.